Easy Appetizers for a Party – Family Game Night Fun! I am proud to partner with Omaha Steaks on this sponsored post. All opinions are 100% my own. Now that our kids are grown and flown, the house gets pretty quiet. My husband and I are enjoying this new season of life as empty-nesters and we feel very blessed that our kids and their spouses live close by. All six of us love sports and we love to get together to watch the big games. We also love to have them over for family game night at home and serve easy appetizers. I’ve shared with you before about Omaha Steaks. I’m proud to be an ambassador and I’m a huge fan. 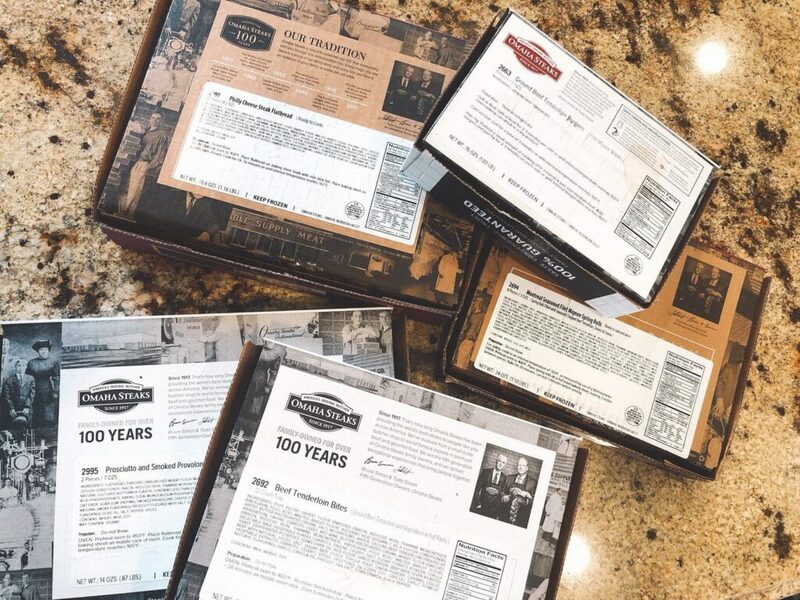 Omaha Steaks has a stellar reputation as America’s original butcher. They are known for only the highest quality cuts of meat, all delivered right to your door (or at one of their store locations). 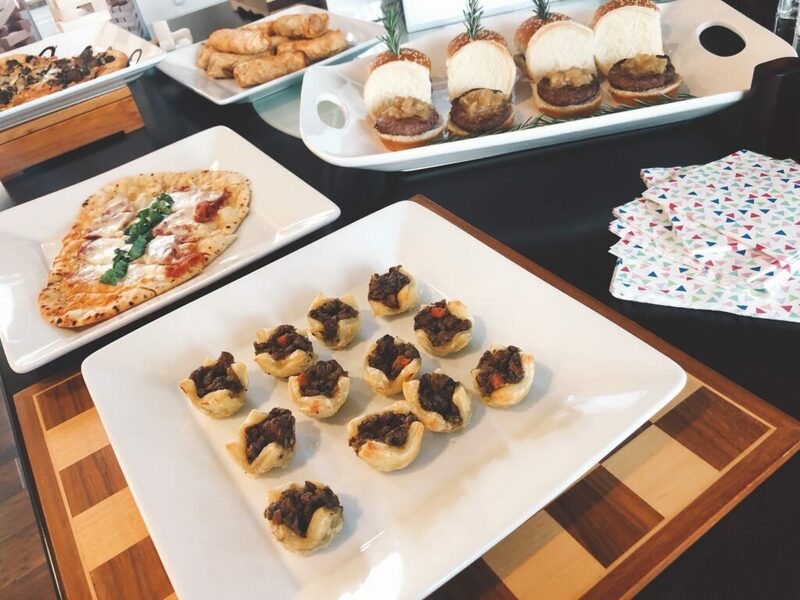 Did you know that Omaha Steaks also offers the most delicious, can’t miss appetizers? They continue to delight me with their selection and the quality of everything I’ve tried. 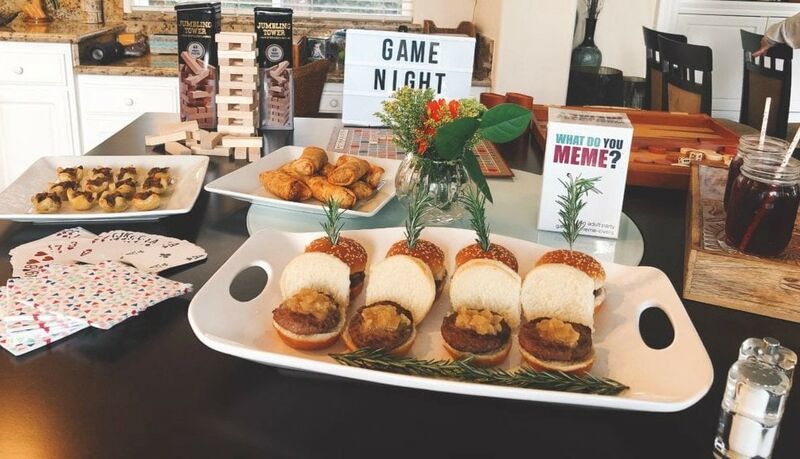 Last Friday, we invited over a few friends and family for a fun game night and we served these delicious appetizers that I had in my freezer from Omaha Steaks. I had the food ready in no time and all. There was no running around involved. In fact, I was able to extend a last minute invitation to a few more people because I knew I had plenty of appetizers to feed my crowd! We set out some family games to play at home along with our easy appetizers. This hand-crafted flatbread was so savory and tasty. It was ready to enjoy in under 15 minutes. I added little balsamic glaze to be fancy but that is optional! 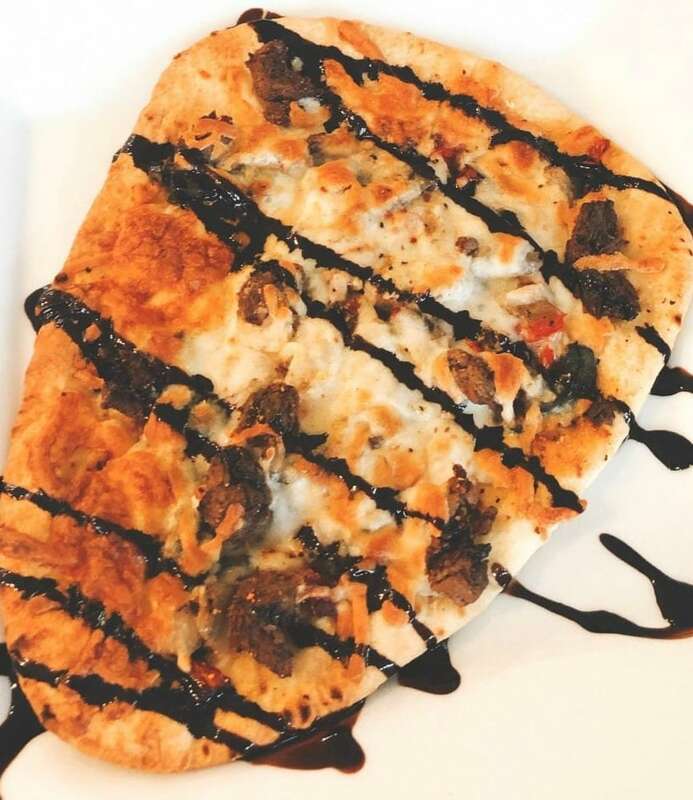 The flatbread is topped with tender 21-day-aged Omaha Steaks Filet Mignon, crisp, fresh red and green bell peppers, savory onions, fire-roasted garlic, and olive oil. The creamy melted mozzarella makes it mouthwatering with every cheesy bite. Do not thaw before cooking. Preheat oven to 450°F. Place flatbread on baking sheet lined with non-stick foil. Place baking sheet on middle rack of the oven. Cook for 14-16 minutes or until internal temperature reaches 165°F. This was another handcrafted flatbread we enjoyed and it also was ready even faster from the freezer to table. I tore up a few basil leaves for a topping but that is optional! The pairing of the prosciutto and the smoked provolone, warm from the oven made me feel like a gourmet chef. If you are not familiar with prosciutto, it is an Italian delicacy – dry-cured ham with a rich savory flavor. Do not thaw before cooking. Preheat oven to 450°F. 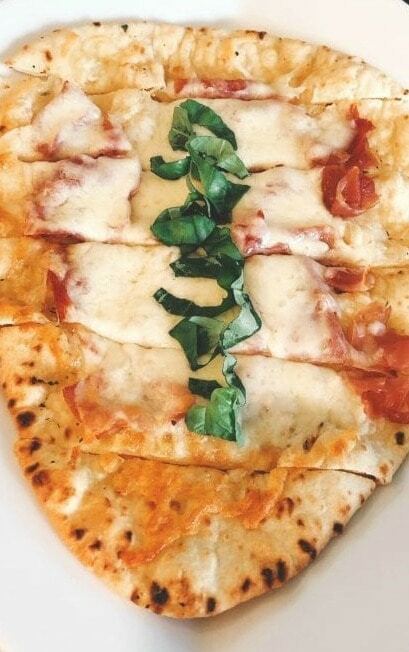 Place flatbread on a baking sheet lined with non-stick foil. Place baking sheet on middle rack of the oven. Cook for 9-10 minutes or until internal temperature reaches 165°F. If you have any leftovers, this would be delicious for tomorrow’s lunch! This appetizer was my favorite. Imagine combining warm Omaha Steaks Filet Mignon paired with sauteed onions, pepper jack and cheddar cheeses, it was amazing. There was not a crumb left. I need these in my freezer at all times! Do not thaw before cooking. Preheat oven to 400°F. Remove the film from the tray. Place tray on a baking sheet and bake for 24-26 minutes on the middle oven rack. Cool for 5 minutes before serving. Choose your method of cooking. I pan-fried them and they were ready in just a few minutes. Just the aroma made our mouths water! Grill or Broil: Grill or broil for 2-3 minutes per side or until internal temperature reads 160°F. Overcooking can result in a dry product. Contact Grill: Grill for a total of 3 minutes or until internal temperature reaches 160°F. Pan-Fry: Preheat a small amount of cooking oil in a nonstick pan over medium heat. 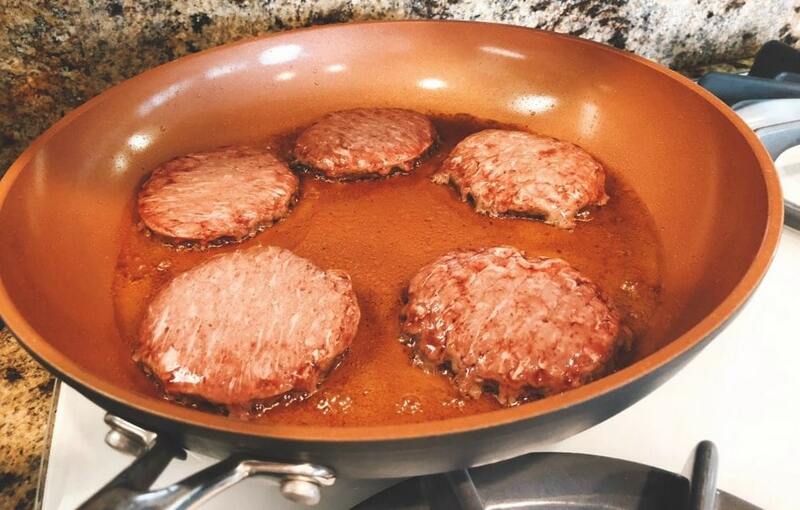 Add burgers and pan fry for 2-3 minutes on each side or until the internal temperature reaches 160°F. 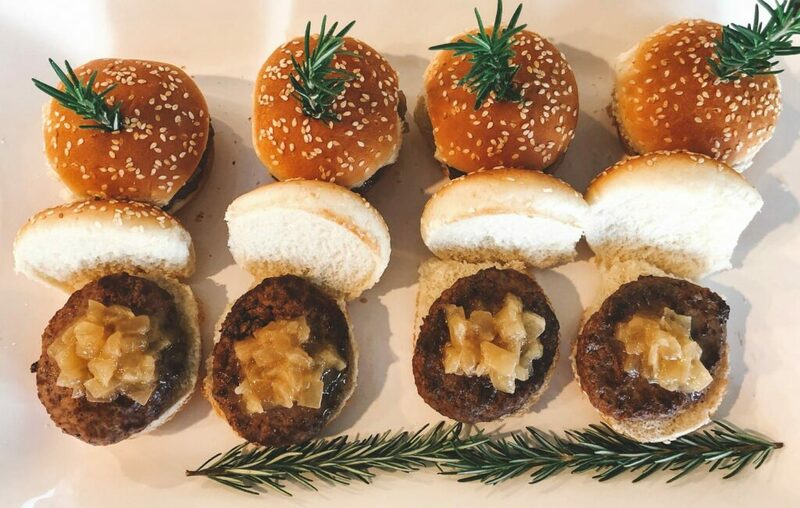 These 2 oz sliders made from tender Filet Mignons are so tender and juicy. I added a little dollop of caramelized onions and a few rosemary sprigs for garnish but that is optional. These juicy little burgers practically melted in your mouth. 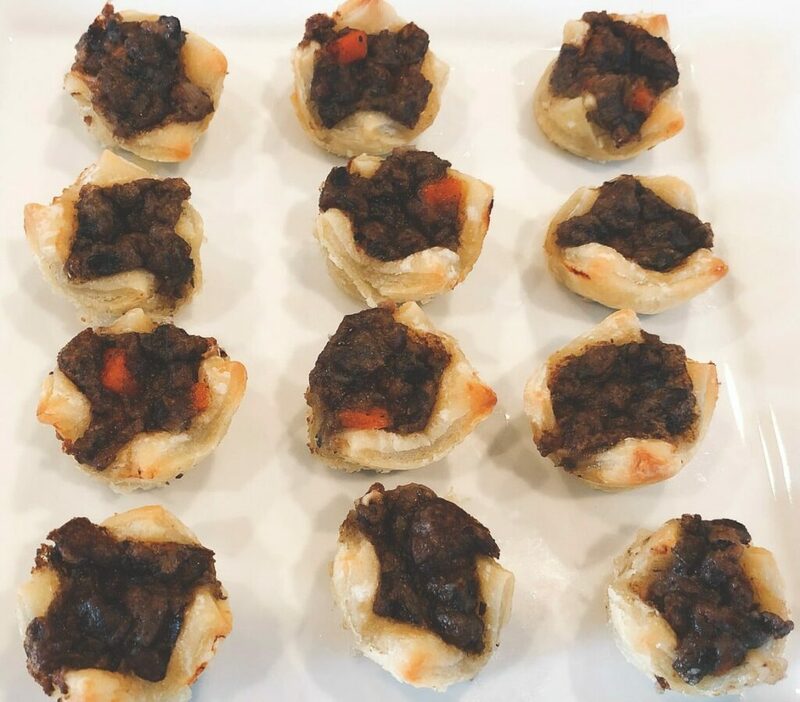 These individual bite-sized puff pastries are stuffed with Omaha Steaks Filet Mignon, mushrooms, leeks, carrots, and a splash of red wine. 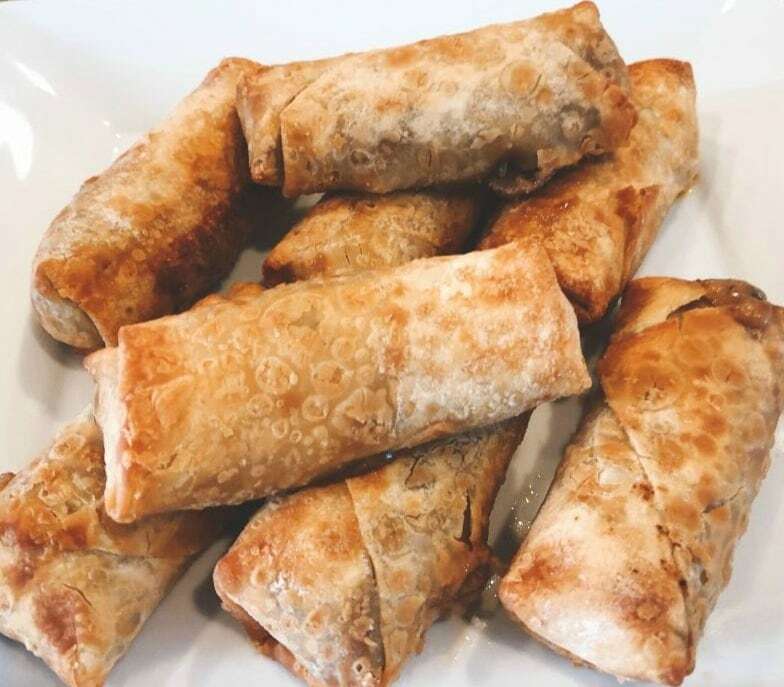 They are the perfect small bite party appetizer. On the back of the packaging, you will find the easy instructions to get your appetizers from freezer to table in just a few minutes! With easy appetizers from Omaha Steaks in your freezer, you can have a delicious party spread in just a few minutes. See all of their appetizers selections on their website. What a deliciously easy entertaining option! I had no idea Omaha Steaks had appetizers, too! I’ll have to check that out! Our kids are out of the house now, too, and we’ve been enjoying game nights as well. I’ll definitely have to put all of these delicious items for our next one!